Out 1 March on Infinite Greyscale – Andi Toma’s Damn Luei Lit. 10” record with screen-printed b-side and handmade artwork. Check the website for more images plus sound. One Day the Sadness Will End was commissioned by HOME, Manchester as part of the exhibition The Return of Memory, October 21st 2017 - January 7th 2018. Curated by Anya Harrison, Sarah Perks and Olya Sova. a picture of specifc historical moments attempting to break the waves of history, with ultimately differing levels of success. These failures were ofen the fault of the revolutionary process as much as of reactionary counter momentum. Starting from Manchester and branching outwards from the present day to historical figures and beyond, the collection of people and instances explores our understanding of revolution, our expectations of success and failure, and the precariousness of systems that claim to rule and control. With great change comes the act of change itself: revolutions invariably turn on themselves. 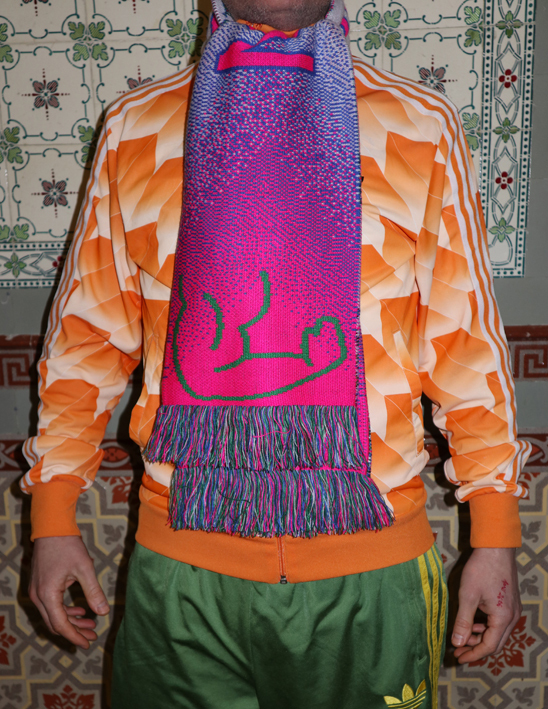 There's a limited number of these double-sided scarves, featuring Farbvision's distinctive tiles. Check them out in the shop now. Modern Furnishings opens at SMAC in Mitte this Thursday from 19h. More here. The October 2017 issue of Art Review has a preview feature on Caroline Achaintre at Farbvision. 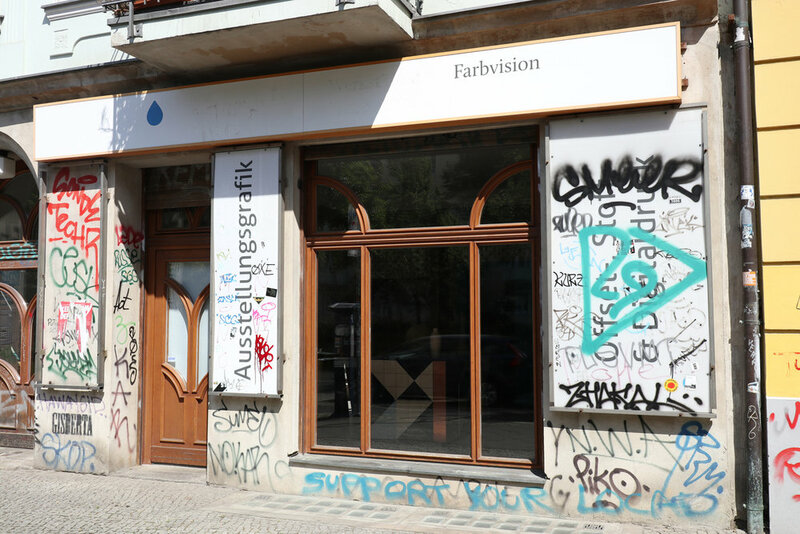 Farbvision is a project space for art and sound in Prenzlauer Berg, Berlin, founded by artist Paul McDevitt. Farbvision is also the physical home of Paul McDevitt & Cornelius Quabeck's INFINITE GREYSCALE books and records. Farbvision cannot review unsolicited material.